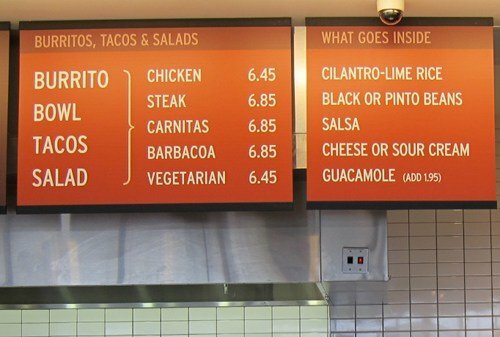 Chipotle calories are the result of you choosing to add them. I love how you can customize your meal but the choices can get you in trouble. I like Chipotle and have created some of their dishes on my own. Try my Chipotle corn salsa recipe or my copycat Chipotle black beans if you are looking for the flavor without having to leave your home. I spent some time perusing the Chipotle Nutrition Calculator in an attempt to know the worst thing to order and the best thing to order. The WORST choices were easy to determine. Order a burrito with a flour tortilla, carnitas, white rice, black beans, queso, tomatillo-red chili salsa, sour cream, cheese, and guacamole. It is hard to make McDonalds look good, but a Big Mac is a much healthier choice than this monstrosity. 2900 mg of sodium!! Wowza. Hopefully, there aren’t people out there who order queso, sour cream, cheese, AND guacamole but you could do it. The healthiest order took some more work as I had to weigh the options. 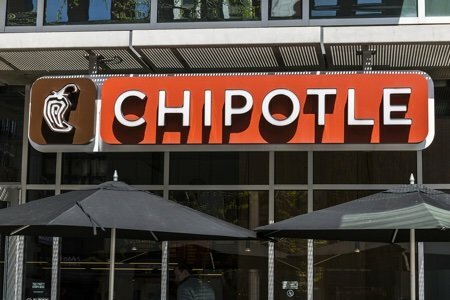 Chipotle makes this vegetarian tofu dish called Sofritas. This seemed lighter than the chicken which I believe is a mixture of dark and white meat. The order for the healthiest option is a salad with sofritas, black beans, fajita vegetables, and tomatillo-green chili salsa. I replace the rice with fajita vegetables as a way to eat MORE vegetables. Isn’t that incredible? There is a huge difference when you leave off the super fatty stuff like queso and sour cream. Of course, 1182 mg of sodium is still out of control but at least you have reduced the amount of saturated fat and calories you will inhale. I don’t know why the sodium is so high at Chipotle. The food seems fresh to me so why not let it stand on its own so we can taste it? o Perhaps Chipotle will invite me to their corporate headquarters so I can yell at them about sodium. Do yourself a favor and know before you go what to order! You can make a healthy choice but it is hard when someone is staring at you from behind a sneeze screen and there is a bucket of sour cream in front of you. It still tastes good without all those extra calories. What do you order at Chipotle? Have you found a way to reduce calories when you go there? Their nutrition calculator is so helpful! It appears that the "meat" choices are where the highest sodium and all the saturated fat is hiding. I'd probably double up the vegs for a healthier lunch for my heart. I'll be sharing this with my two adult kids who find themselves in airports with a Chipoltes on occasion. Two weeks ago I took my grandson to McDonald's. I hadn't been there in probably 20 years at least. I got a grilled chicken on lettuce. It was SO SALTY! I thought I was being good by not having it on a bun. Fast food is so incredibly unhealthy. The best choice is to just not eat in those establishments.